So word count didn’t go up, but body count did. No, I didn’t kill my roommate. And, no, we weren’t dropping our dogs off there. Jazzy and Riley came from a shelter and have a forever home with us. Nope, we were going there to meet Laverne and Shirley. 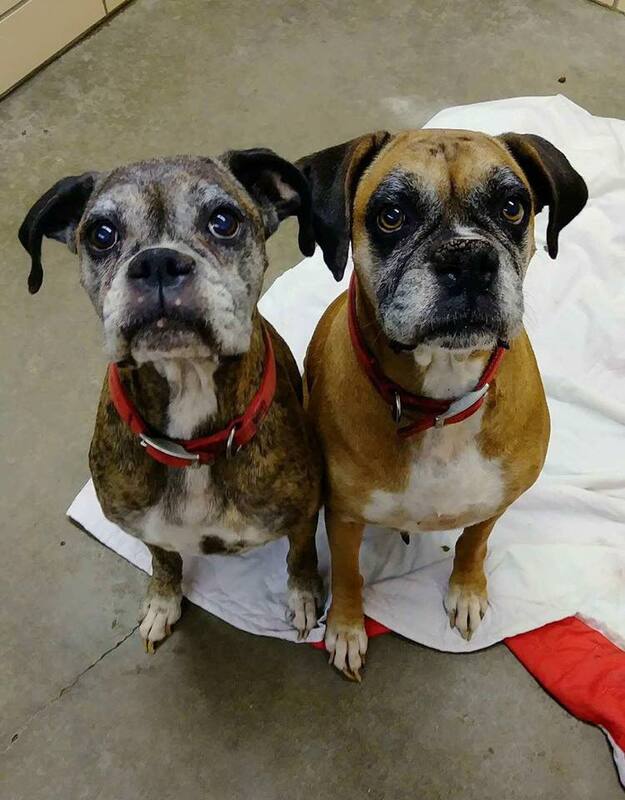 They are 10 year old sisters that I learned about via a boxer rescue group on Face Book (Boxer Rescue of America). They were surrendered by their elderly owner because she was no longer able to care for them. Laverne is the fawn (on the right) and Shirley is the brindle. The meet and greet went very well. None of the dogs showed any sign of aggression – not one hackle was raised, no flattened ears, no growls or snarls or baring of teeth, not even a guarded look. A lot of sniffing and going about their business. No cowering in submission from anyone, either. That’s going to give us four wiggle butts. Two humans = four hands. Four dogs = one for each hand. Anyhow, since I’m about nine thousand words behind where I need to be today, and since I’m probably losing most if not all of Saturday (and the days that follow as I help the two new additions settle into their new home) I had really better get myself focused on increasing word count.